Exquisite and versatile, this is the perfect handbag for your beach holiday. 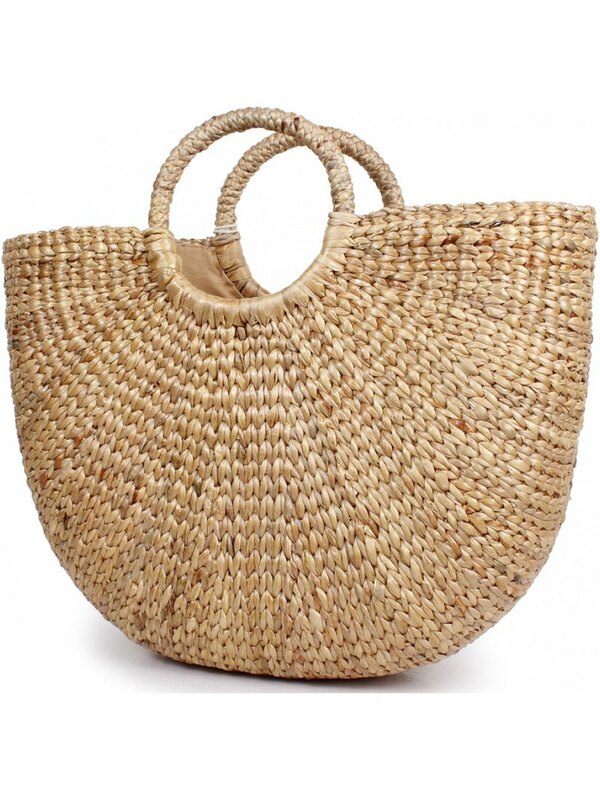 This handbag is a unique basket that features natural rattan, beige cotton lining. Pockets: One zipper and one pocket / Size / Approx Length: 18" (44cm) Approx Width: 5" (13cm) Approx Height: 12" (30cm) / Materials / Water Hyacinth / Care / Hand wash and lay flat to dry. / Shipping / Ready to ship in 3 business days.